Introducing art at the workplace can have a remarkable effect on a worker’s capability to work more efficiently. Also, it can induce a sense of calmness and well-being amongst the workers. Keeping this in mind, many business owners have gained an understanding of the importance of workplace art. Now, they have realised that art is not just for decorating the workplace, but it can boost the creativity and productivity of workers. It is a well-known fact that art has the power to influence people’s thinking in whichever way they see it. 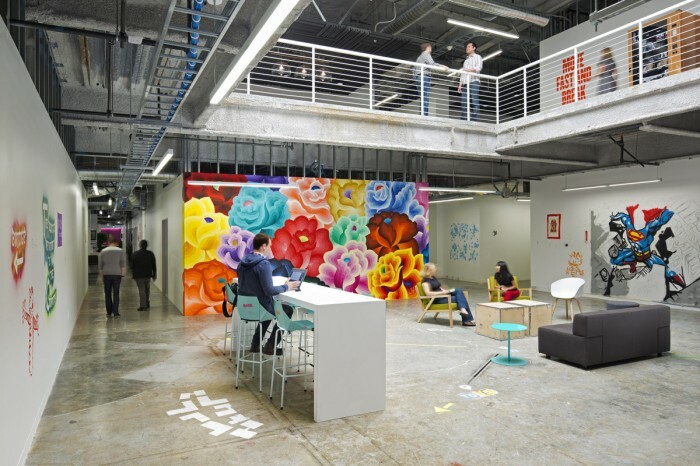 Let’s have a look at some astounding benefits of introducing art in the workplace. Working continuously without a break can be frustrating for workers. In this situation, it is likely for them to be distracted by anything. But if they are distracted by stunning and enthusiastic artwork, then it might be the best distraction for them. Paintings and photographs which exhibit optimistic and enthusiastic message can have a positive influence on workers. They can get inspiration from these artworks such as beautiful sceneries, photographs of influential personalities, abstract art and athletic feats. It is a fact that art has a direct connection to mindfulness. The practice of mindfulness has gained much popularity in the past few years and now it is being introduced at the workplace through exhibiting artwork. Workers sometimes tend to be irritated and frustrated due to a continuous burden of work. Exhibition of beautiful sceneries and even abstract art in the workplace is a great way to induce mindfulness among workers and employers. Having a look at paintings of magnificent sunsets, mountains and waterfalls can let them get relief from all stressful thoughts and gain peace of mind. If the artwork used on office walls is designed in such a way that it highlights the objectives and services of the brand, then it can influence the clients to involve in a healthy discussion about those artworks. This, in turn, clarifies the company’s goals and it more popular among the community. Workers can also feel inspired by the artwork and gain interest in decision-making processes with their employer. There are many business firms which offer workplace art exhibition services. And for this purpose, they hire the best professional artists for designing artworks needed for a specific company. This gives the artists an opportunity to display and sell their paintings and photographs. The art is replaced with new art after every two months. This guarantees the artists that their art is constantly being exhibited in many places. Their work is also promoted through social media, printed catalogues and newsletters allowing them better opportunities to present their artwork. Workplace art is proven to be quite advantageous for business firms. Some of its amazing benefits are boosting the productivity of workers; promote mindfulness among them and giving business firms the opportunity to reinforce its brand values. Previous : Why Is It Vital To Have Your Roof Inspected By Professional Roofers?